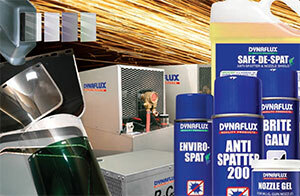 Directory Listing - Dynaflux, Inc.
Dynaflux is a global supplier of welding equipment. 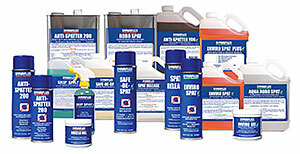 A leader in chemical manufacturing since 1972, Dynaflux offers a complete line of anti-spatter products, visible liquid dye penetrant testing, cutting fluids, and galvanizing sprays. Dedicated to the welding industry, we supply replacement lenses and faceshields, water cooling systems, and heat tint removal solutions. We are proud to offer products made in the USA and products that address current environmental concerns. Through comprehensive manufacturing, and industry leading product performance the Dynaflux team provides a competitive advantage to our customers.